Who’s ready for Spring? I sure am and we seem to finally be through the worst of winter and into some Spring type weather! 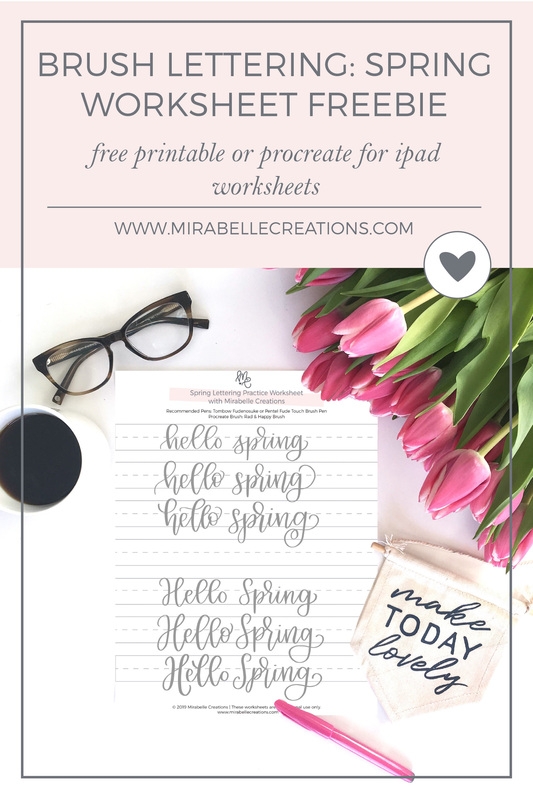 To celebrate, this month’s Freebie is all about Spring with our Hello Spring free Brush Lettering Worksheet. You can download it, then use it to print as letter on with brush pens or use it with the procreate app for iPad lettering. This worksheet is one of April’s Freebies that our email list friends will receive, along with access to all of our other freebies. 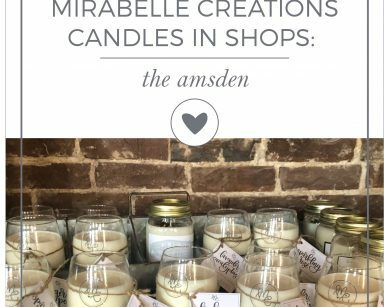 If you want to be email friends too, sign up here. 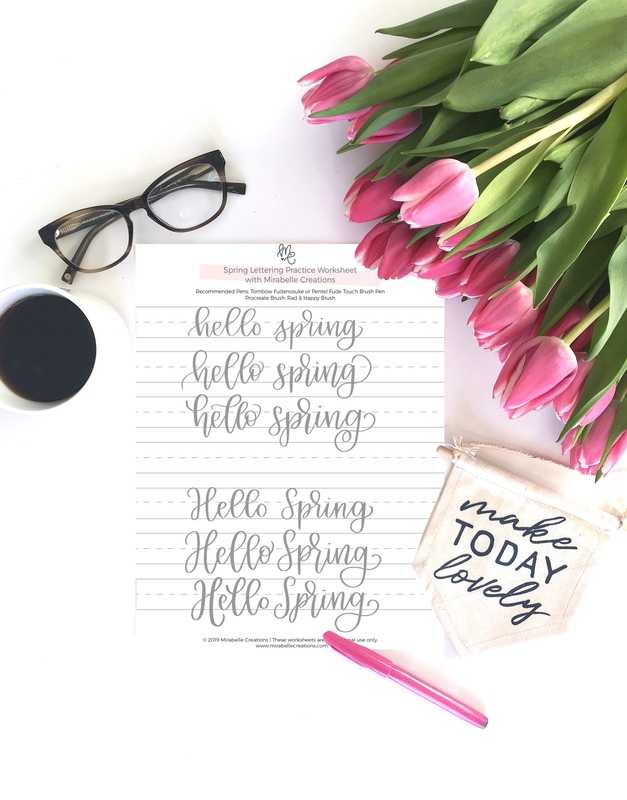 You’ll get immediate access to some of our favorite lettering and entertaining printables for Spring and the rest of the year! If you would like to print the worksheet and use it with brush pens, I recommend trying it with the Tombow Fudenosuke Pen or Pentel Fude Brush Sign Pen. 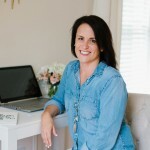 To print the worksheet, first download the PDF file and save the file to your computer. Once you have saved it, you can print as many copies as you would like. My favorite, smooth paper for lettering is HP Printer Paper, Premium 32. The easiest way to do this is to open and download the JPG file while using your iPad. First save the JPG version to your iPad photos. Open the Procreate App. Choose the + sign in the upper right hand corner of the Procreate App. Choose import photo. Select the Worksheet Photo that you just saved to your iPad. 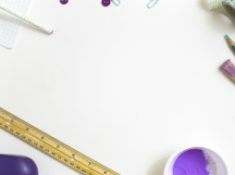 It will open a new canvas with this worksheet as the first layer. Go the top right and choose the layer tool to create a new layer. In the new layer, trace over the letters and word to practice. You can use whatever brush is your favorite. Two of my favorites are the Rad & Happy Brush and the Hewitt Avenue Brush. 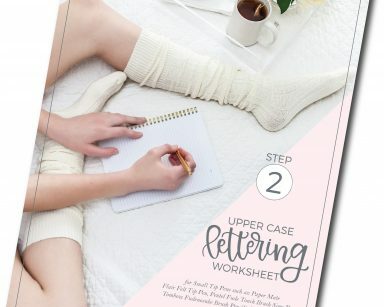 Want Even More Free Lettering Worksheets? 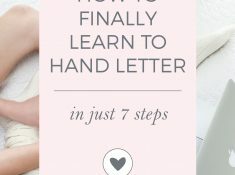 If you want even more FREE lettering worksheet, sign up for our free 7 Day Email Course – Anyone Can Letter. 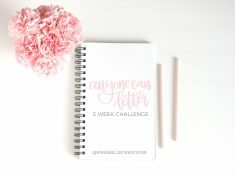 Once you join, you’ll receive an email with videos, lettering tips, and free worksheets, for 7 days. The course will walk you through the basics of each lower case letter in the alphabet. 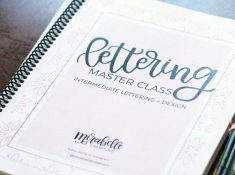 By the end of the 7 Days, you will be well on your way to creating beautiful hand lettering! 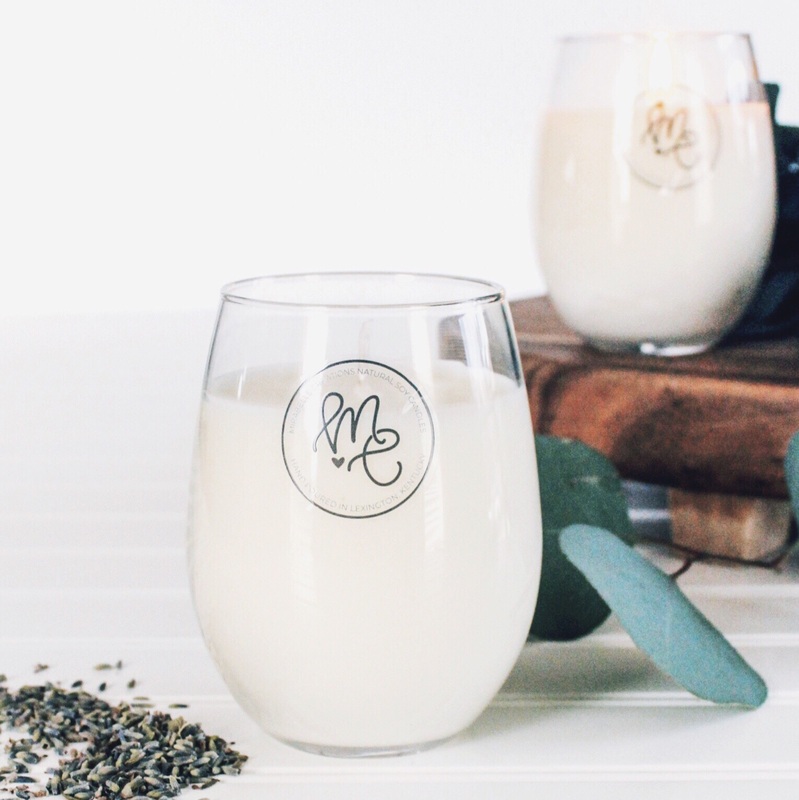 Sign up for the Anyone Can Letter Challenge, now!